Tagged under Robico, Brains Base, Series. I don't like this genre much but this very story seems quite interesting to me. Will continue watching. I like the way haru loves shizuku and laugh a lot whenever I saw shizuku's angry face. This was pretty good. I didn't love it at first but then around the 3rd episode it got pretty good. I then decided to finish it. So I stayed up all night watching it. Decent ending. I like Shizuku's personality. She reminds me of myself a lot because of her kept at arm's length attitude. 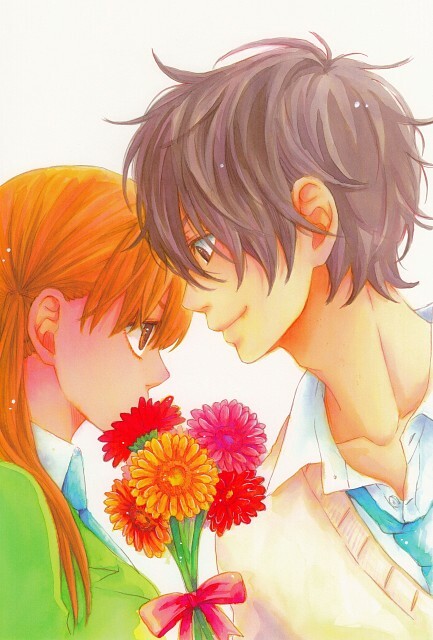 A really good romantic comedy.^^ Both Haru and Shizuku are funny because of their different personalities and ways of handling life/doing things and also interacting with each other. Haru is a nice guy, kinda innocent about certain things and a bit violent, but he has a good heart. Those guys he thought were his friends are a bunch of pricks. No feedback on Tonari no Kaibutsu-kun.